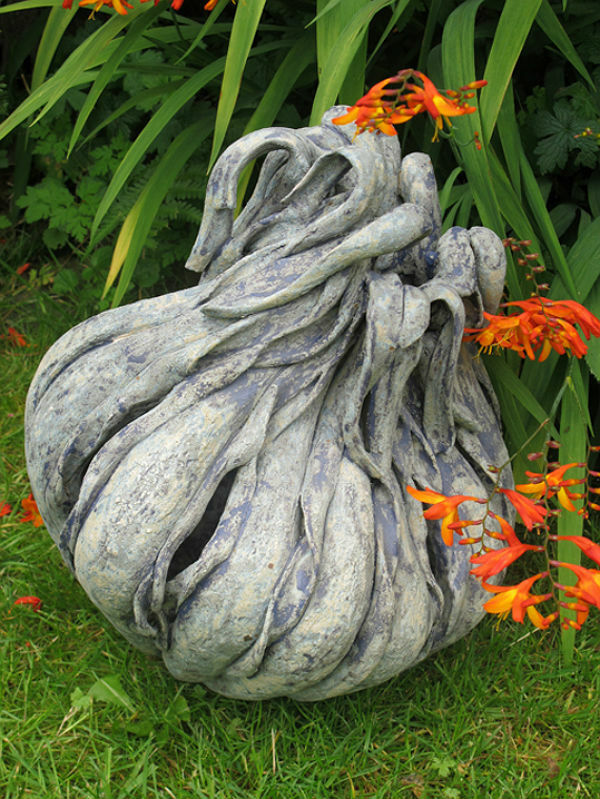 I am an independent artist with a studio on the Berkshire Surrey borders where I design and make ceramic sculpture for the outside environment. I work primarily in stoneware, a material that is sympathetic towards my interpretation of natural form. Inspiration for my pieces is drawn upon my observations of the changing harmonies and muted colours which occur with the rhythms of the seasons with all their variety, fluidity and movement. My intention is that my pieces must enrich their surroundings with elegance and interest, celebrating, not dominating, their environment.